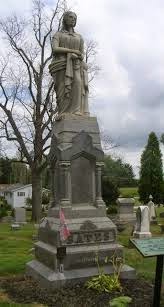 Bestselling Author, Kat Flannery: Anna Swan the Giant of Nova Scotia. 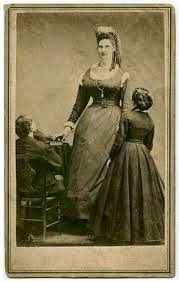 Anna Swan, the 7ft and 5½ inches tall woman known as a giant. Anna struggled with her day-to-day life living in a small farmhouse, where she could not stand to her full height. 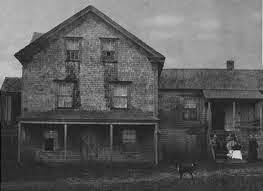 She was not permitted to sit in the chairs her family used, for the wooden structures could not hold her weight and she’d broken many pieces of furniture over the years. Upon seeing his daughters struggles within the family home, Anna's father hand-made her a chair suitable for her height and weight. 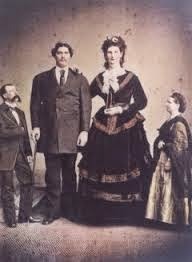 While visiting a circus in Halifax Anna met Martin Van Buren Bates, a giant as well at almost eight feet and 470lbs. 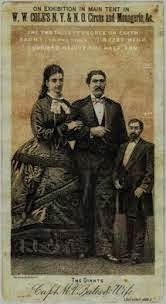 They were placed together as the main attraction with the circus and soon after fell in love. 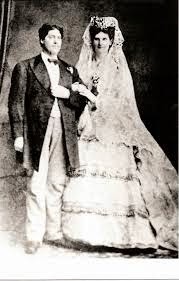 On June 17th, 1871 they married in London, England. Where the Queen gave Anna a handmade pocket watch as a wedding gift.